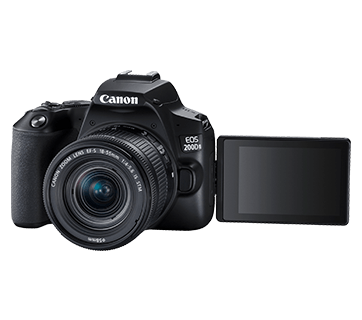 EOS 200D II is Canon’s lightest DSLR with a Vari-angle Touch Screen LCD. 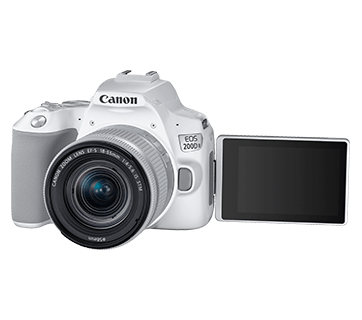 Weighing only a little heavier than a bottle of water*, the camera slides right into your bag conveniently for that everyday photography. 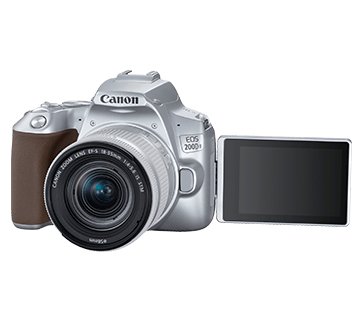 Packed into its petite body is Canon’s 24.1-megapixels APS-C CMOS sensor, DIGIC 8 processor and a bunch of features that would make snapping your everyday life seamlessly easier. 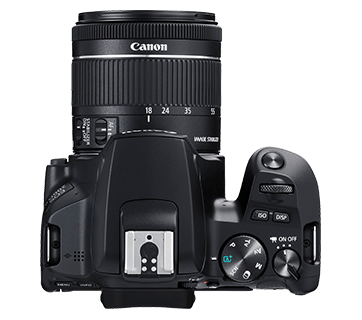 First time incorporated into an EOS DLSR, Creative Assist and Smooth Skin feature would allow you to achieve desired effects on your photos and easily take picture perfect selfies. 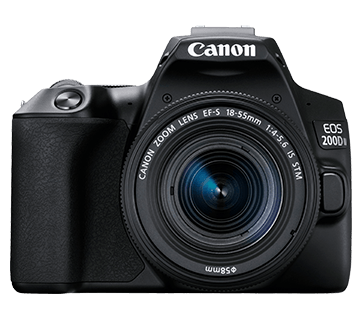 Stay connected to the camera with the Bluetooth Low Energy connection and send images to your mobile devices via Wi-Fi as you shoot for ease of sharing. 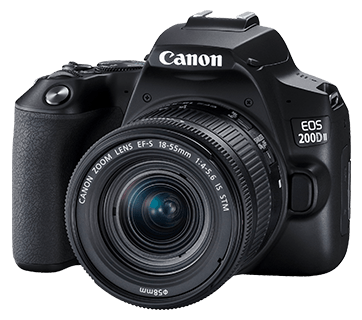 The EOS 200D II is designed for comfort with its deep grip and ergonomically laid out function dials. With Black, Silver and White to choose from, it is sure to adds a statement to your lifestyle. Let your everday be a creative day. 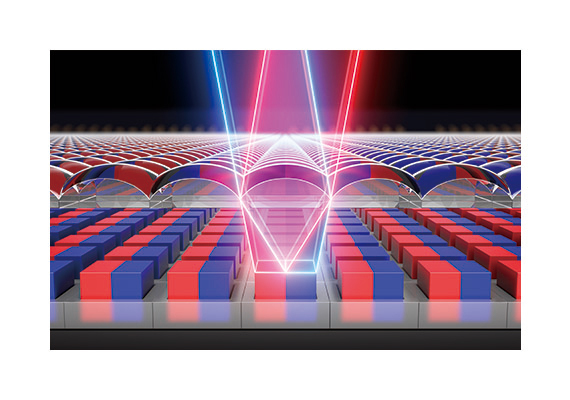 Dual Pixel CMOS AF, Canon’s distinctive technology in which effective pixel on the CMOS sensor is able to perform both phase-difference autofocusing and imaging functions. 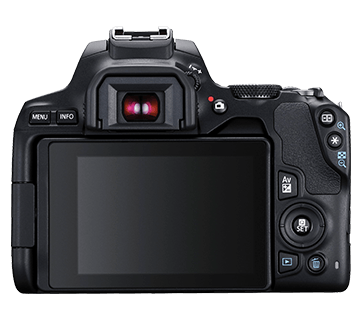 Through this, EOS 200D II can achieve 4,779 selectable AF positions (during Live View) that allows greater flexibility when composing an image. 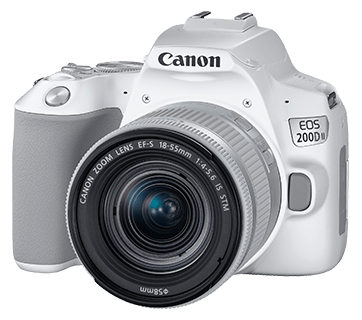 EOS 200D II inherits the Eye Detection AF, which can detect and focus on the subject’s pupil. 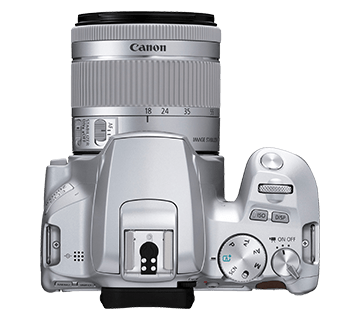 Especially useful when shooting wide open on large aperture lens, always ensuring that the eye is in focus—ideal for portrait shooting. 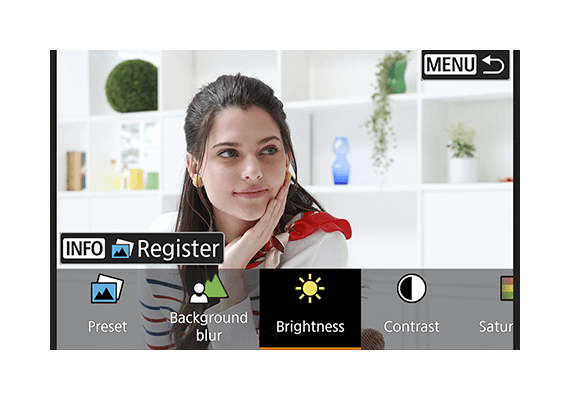 This function is available in Servo mode for both stills and movie. Capturing candid genuine expression of someone dancing or your children running in circles is now made easier. 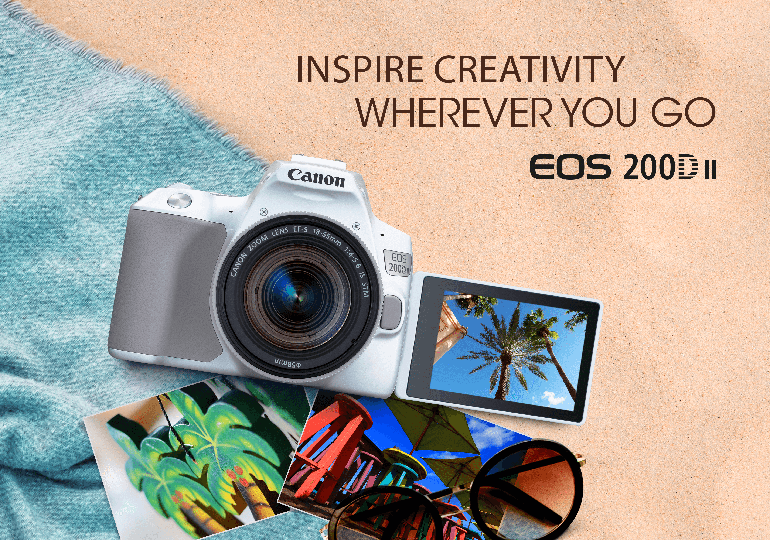 Your everyday photography is now made easier with Creative Assist. You just have to select you desired effect and the camera would provide the most appropriate setting to achieve that image for you. Creative Filters like miniature effect or fish-eye effect would certainly make your image pop. 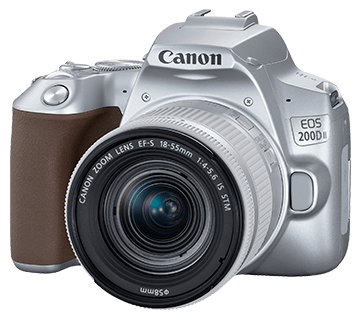 EOS 200D II have Skin Smoothing for those who enjoys taking that picture-perfect selfies. Product may not be available in all markets. Please refer to individual country and region websites and respective sales offices for product availability. 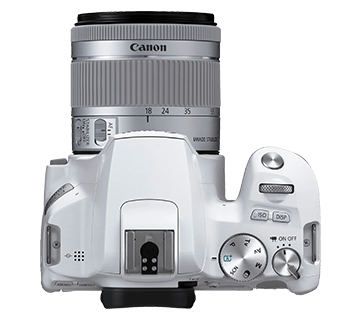 Copyright © 2019 Canon Singapore Pte. Ltd. All rights reserved.